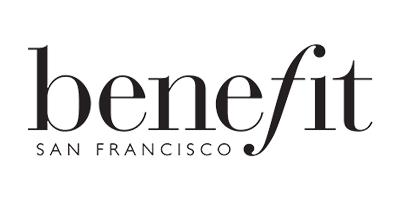 Benefit began as a small makeup shop in 1976, in San Francisco and with great success it was later established as Benefit Cosmetics in 1990. The brand was founded by twin sisters, Jean and Jane Ford, as a way to supply people with effective and easy-to-use products that will ultimately make you look and feel good. Well-known for their brow expertise and renowned for delivering fast and fabulous beauty innovations −including their cult-classic Porefessional primer and beautiful bronzer: Hoola’, Benefit is now known as one of the world’s leading beauty brands, and as a brand, believe that laughter is the best cosmetic due to their fun, loving ethos. Benefit cosmetics are widely-known for their extensive charity work and their ‘Bold Is Beautiful’ project, where they have shown their charitable support by donating 100% of their brow waxing proceeds to the Look Good Feel Better cancer and Refuge domestic violence charities this year. The project was started as a way to support the empowerment of women and to spread an awareness and feel-good approach to women and girls across the UK. They provide a variety of show-stopping beauty solutions in the skincare and makeup sector; with a fantastic range of products from the most iconic− Benetint and Gimme Brow gel to the nifty, new additions, you can browse a stunning selection of products that will effortlessly enhance your look, whether you want to keep it natural or go bold!